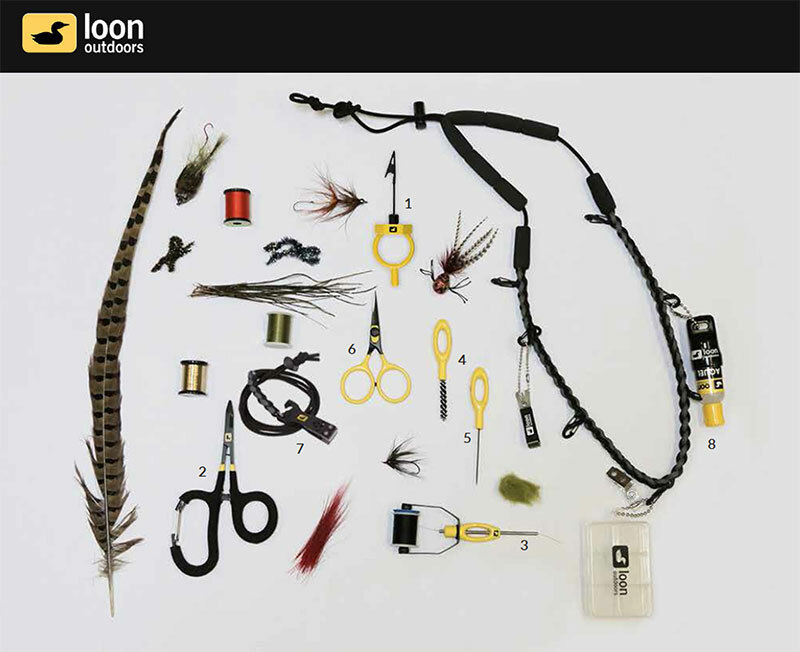 Combines essential components for fly-tying—hackle pliers (they call it the Gator Grip) and a dubbing spinner—so you only need one. They put a carabiner with hemostats to make them accessible anywhere and everywhere you need them. A favorite tying tool is now more comfortable and easier to use than ever. Easily adjust tension while tying by changing the pressure applied in your grip. Now with an oblong handle that sits easily in the hand. Loon hand hones all of its scissors right in its warehouse. Line… and a bottle opener. Sturdy paracord lanyard comes equipped with five Nite Ize S-biner attachment points for keeping the essentials securely at hand.